We’ve also been continuing to view properties and have a list of 3 so far that we’d like to view again if they’re still available by the time we find our own buyer: one in Godalming in a location to die for, gloriously spacious rooms and with a garden you’d have to bring a telescope to see the end of; one in Normandy which was really lovely (apart from the bitchy owner who did rather put me off, what a cow …) and had a glorious set of coloured tiles in the pleasingly large kitchen; and one in Elstead (my favoured village) with so much in the not-very-large-but-very-cleverly-arranged garden that you’d definitely have to take tours round it. Next week I’m viewing another house in Elstead during the week, and then I hope to set up two Normandy bungalow viewings for K and me next Saturday. Really it’s all go. We’ve also been filling in a mound of paperwork for the fast-start conveyancing service, and will send it off to the solicitors after we’ve seen the mortgage specialist next Saturday morning. I suspect they’re going to have fun with our leasing arrangements. Apparently the estate agents have already had a great deal of fun with them as part of our lease forbids anyone in the house to set up a brothel or a pub, and it’s the first time the agents have come across that one! I suspect it stems from the time when there was a brothel down our road a few decades ago and eventually they pulled the whole house down. Though one assumes not when there was someone still in it. Also yesterday, I helped out with the open day at the university at the last minute (in between house viewings) as there was a gap we couldn’t fill and I didn’t want to leave one person on her own. Loads of questions about finances, naturally, but it’s all very fluid at the moment so we’re really not quite sure how the new system will all work out, or even if it will. Loads of people there too as they want to start next year before the fees are raised, so it was busy busy busy. 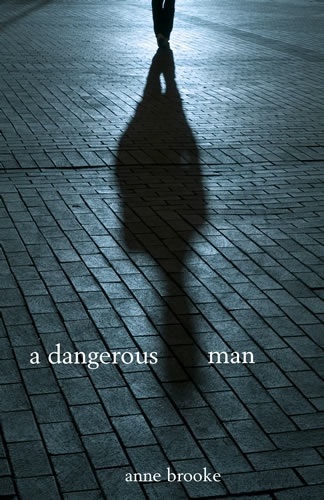 Much to my delight, A Dangerous Man is now available at All Romance Ebooks, though someone hates it so much they’ve allocated it a one-star rating which somehow always cheers me. I have to say it’s a literary rather than a romance novel, so I suspect it’s not what that particular Cross Reader was expecting. Meanwhile, I have posted about what’s coming up this week at Vulpes Libris Reviews, a week which is packed full of endings, orgasms and secrets, so well worth keeping an eye on each day’s review in the run-up to All Saints’ Day and All Souls’ Day (as I prefer to call the season …). whispers its secrets to me. Such miraculous news to know that at last the Chilean miners are safe – so many things that could have gone wrong and they just didn’t, hurrah. Amazing news indeed! I just hope the world now leaves them alone to recover from such a terrible ordeal, but no doubt we won’t. But it’s seriously lovely to hear of something glorious rather than something grim for once. I’m thrilled that today my author’s copies of A Dangerous Man have arrived and look lovely, hurrah. Publication day is tomorrow (Friday 15 October) so I’m really looking forward to that. Erastes has very kindly republished an original review from 2007, when the book was first published, so a big thank you for that! And I’m pleased to say that people do seem to be preordering the novel at Barnes & Noble, which is very nice indeed. Also at Barnes & Noble (what great people they are! ), you can find a copy of Sunday Haiku, which is a more meditative read. Meanwhile, Tommy’s Blind Date gained a really enthusiastic 4-star review at Three Dollar Bill Reviews, so many thanks for that, Kassa – it’s much appreciated. And The Delaneys and Me appeared briefly at No 58 in the Amazon charts, but has now slipped back onto the shelf once more. Finally, I’ve reviewed Diana Wynne Jones’ magical children’s fantasy, Enchanted Glass at Vulpes Libris Reviews. It’s pretty dang good for adults too. There’s a 25% discount on The Hit List direct from the publisher this month so buy early buy often. And this weekend only, there’s also a 20% discount on Sunday Haiku from Rainbow Ebooks, so Sunday is definitely a good shopping day. Meanwhile, The Delaneys and Me found itself briefly at No 62 in the Amazon charts, and Tommy’s Blind Date was equally briefly at no 50. That was certainly a nice feeling anyway. I’ve also, much to my delight, looked again at The Executioner’s Cane, and have this weekend added 2,000 words to its wordcount, hurrah. It might just become a novel one day, you never know. of desert and whispered song. K returned from Dubai (hurrahs!!!!) which was totally delightful and brought me a present of a camel in a snow-globe. So I can add that with pride to my burgeoning snow-globe collection. I’m sure it will be happy to join the old Pope in a snowstorm, the Holy Family in a snowstorm and Noah’s Ark in a snowstorm, amongst others. Never say we’re not classy here in the shires. Much to my delight, my latest gay short story, Brady’s Choice, has been accepted for publication by Amber Allure Press on 23 January, so it’s nice to have something to look forward to in the post-Christmas lull. Still much to look forward to this year however, as A Dangerous Man is due out on 15 October and can now even be preordered at Barnes & Noble, well gosh. You can find out more at Cheyenne Publishing, including a full blurb. I’m also happy that for a brief moment of time, Tommy’s Blind Date found itself at No 79 in the Amazon Gay Fiction charts so that was distinctly nice while it lasted. The redecoration of our spare room is now nearly done. We’ve tackled the last alcove and added two coats of paint to it today, plus I’ve put an undercoat on the skirting board there. We’re also slowly putting the rest of the spare room together again, including bookshelves and book cabinets but are reorganising it to make best use of the space. Today, I’ve done another run to the council tip and also got rid of 4 more bags of books, and have this afternoon created another three book bags to go. It’s so cleansing, you know, and the good news is that the spare room that we’ve basically used as a dumping ground for 17 years now looks like a room someone might want to buy, hurrah. 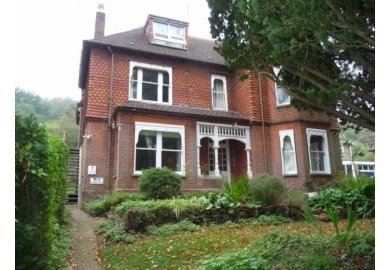 Ooh, and yesterday, we drove round looking at places we might like to live, and our favourites so far are Normandy, Fairlands and Wood Street Village (the latter two are in the outskirts of Guildford). We also liked Ash and Ash Vale/Ash Green, but it does depend where in those cases. We also looked at Tongham, but I think that’s third level on our list. Church this morning was good too, especially as it seems like we haven’t paid God a call for ages (we haven’t), so nice to catch up. He’s having a quiet time before Christmas kicks in, if you’re asking. In addition, the poor vicar has apparently contracted pneumonia whilst on holiday (holidays: they’re not good for you, you know) but is being ministered to by the ladies of the parish (Gawd bless ’em) so every cloud does indeed have a silver lining. In our absence, the church also seems to have given birth to a music group, which K and I looked at with horror when we turned up as any whiff of evangelical happy-clappyness and we’ll be running to the door screaming. However, we needn’t have worried as it was clarinets only adding to the whole ambience of the hymns (very good indeed) and the singers sang a marvellous Latin chant during Communion. Bliss. Bring back Latin chants – they really do put the zing back into church-going. So the music group gets our vote, and I hope they keep that whole approach: it was great.